The last time Smart was up for the Deadgoat Summer Solstice we got to talking about riding (surprisingly), but more specifically nutrition on the bike. Smart was lamenting that a lot of the bars and energy products on the market don’t really feel like they’re very good for you. Granted, they’re built to “fill a gap,” but most of them are full of chemicals, waxes and acids and rather than ingredients a normal person can recognize. I continued to think about the situation, and decided to do something about it. After some internet scouring, I narrowed things down to two recipes. One from natural food blogger Heidi Swanson from 101 Cookbooks, and one from nutritionist Pam Vagnieres from an interview with the Daily Camera. Directions: In bowl, combine flour, sugar, milk powder, what germ and baking powder. 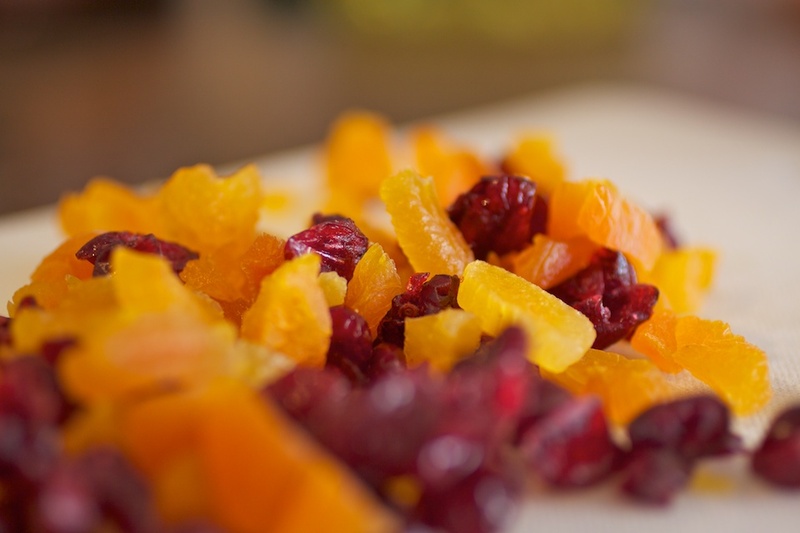 Stir in raisins (or apricots– and seeds. 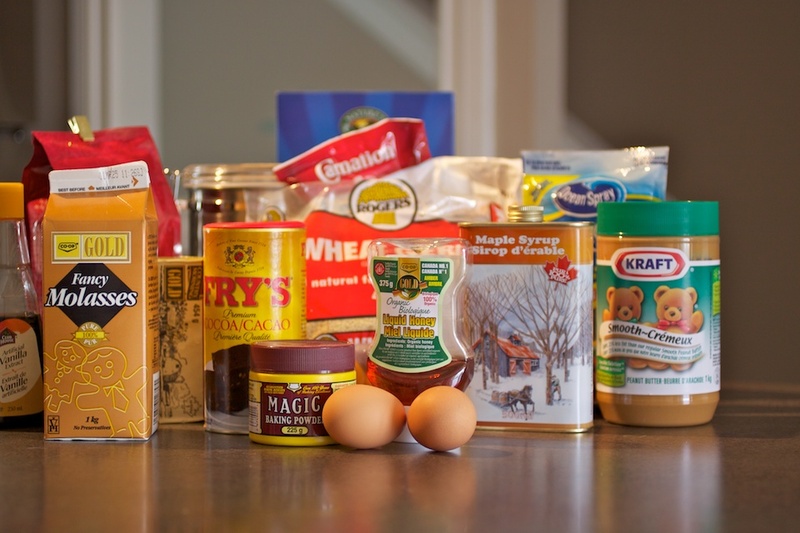 Mix eggs, oil, molasses, and peanut butter. Add to dry stuff; blend well. Spread in greased 9-inch cake pan. Bake 350 degrees, 35 minutes or until browned and firm to touch. Let cool, cut in 24 bars. Can store on shelf, in air-tight container, for up to 5 days. If you can’t find the crisp brown rice cereal, no worries – just use regular rice cereal for ex: Rice Crispies – just stay clear of “puffed” rice cereal, it will throw the recipe off. Feel free to substitute other types of nuts, seeds, or whatever little goodies you can dream up. Preheat oven to 350 degrees. Grease a baking pan with the coconut oil. If you like thick power bars, opt for an 8 by 8-inch pan; for thinner bars, use a 9 by 13-inch pan. 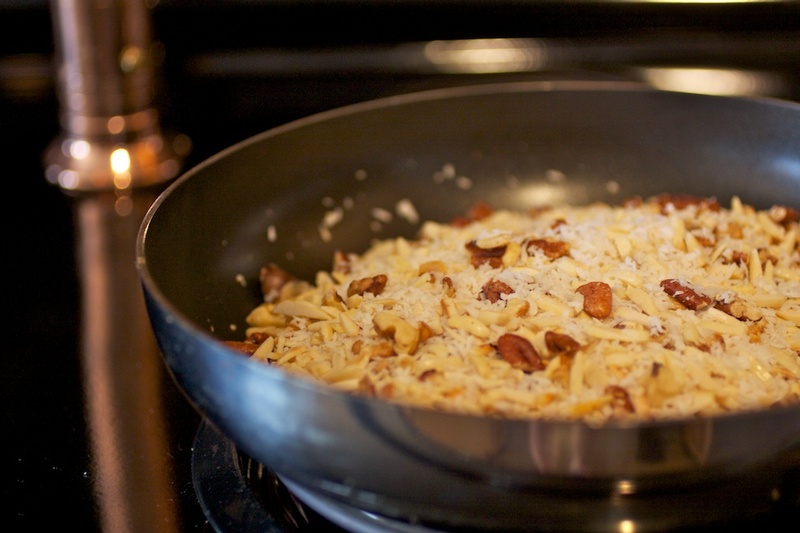 On a rimmed baking sheet toast the pecans, almonds, and coconut for about 7 minutes, or until the coconut is deeply golden. Toss once or twice along the way. Mix the oats, toasted nuts, coconut, and the cereal, together in a large bowl and set aside. Combine the rice syrup, sugar, salt, espresso, and vanilla in a small saucepan over medium heat and stir constantly as it comes to a boil and thickens just a bit, about 4 minutes. Pour the syrup over the oat mixture and stir until it is evenly incorporated. Spread into the prepared pan and cool to room temperature before cutting into whatever size bars you desire. The big benefit to the ‘Big Sur Power Bars’ was the fact that there was no baking required – I would compare them (in preparation and in taste) to a ‘seedier’ version of puffed wheat square. Nice and light, easily digestible. Didn’t really sit too heavily in your stomach either, and SUPER tasty. 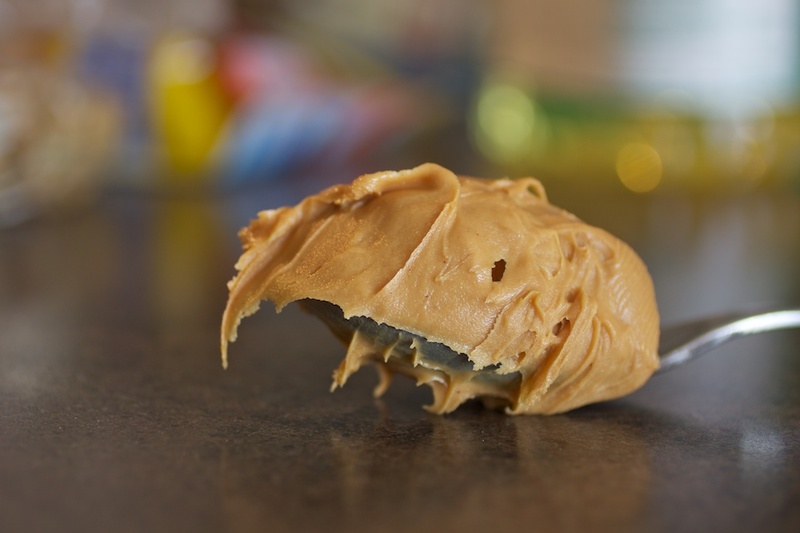 The fact that the nuts are toasted really makes for a nice ‘nutty’ flavour, and the ‘glue’ that holds everything together isn’t too sweet. The two kickers (for me) were the flavourful addition of the coconut and the delicious kick of the espresso. Definitely a win. The ‘Chopped Fruit Power Bars’ are a different beast entirely. They’re considerably heavier, but not necessarily in a bad way. They’re much more calorie dense, so you get a lot more bang for your buck. I enjoyed the flavour, but found them a little ‘sunflower-ey.’ If you were to attempt these, I would probably suggest using half sunflower seeds and half walnuts for the nut mixture. Because these were more dense, they had a really substantial and filling quality to them, coming mainly out of the tasty combination of peanut butter, brown sugar and molasses. The seeds and dried fruit did a great job ensuring that the bar wasn’t *too* heavy as well. You could probably also cut the bars a little smaller, but I wanted the nutritional information to be comparable between the two bars. One additional thing that I’ll mention is that you should try to take the size of the pan you use into consideration when baking these – I would suggest using a larger pan (ie. 9 x 13″) so that the bars are a little flatter, and will fit in your jersey pocket a little more easily. I would also suggest that you think about how you want to package your bars. I didn’t have a lot on hand, so I decided to use mini-ziploc bag, which did the trick admirably. The last thing I’ll highlight is SparkRecipes Recipe Calculator. I thought this was important mainly because I really wanted to be able to get a full nutritional breakdown for the bars. Both to compare the bars to each other, but also to others I’ve got in my shelf. I am definitely going to have to try these recipes out! My guess would be that the first one wins on taste based on the Peanut Butter. yum Peanut Butter! I assume I can look forward to a healthy stash of these for the upcoming TR3? Homemade seems like the way to go for me. I was making, ‘Power Pancakes’ for a while there. No additives. Just all the good stuff. Only problem was time. To make enough for, say, two weeks, it nearly took all morning. Yeah, I’ll probably be brining my own goodies for the TR3, complimented by some store-bought items that lean more in the organic direction (ie. the Clif Shot Bloks claim to be 95% organic and the ingredient list doesn’t look too scary). The one nice thing about the Big Sur Power Bars is you could double/triple the recipe and make a ton of them very quickly and with very little additional effort. HA!!!! You’re a funny guy. recipes prior to submitting obsequious comments!